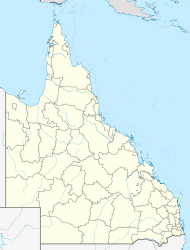 Beechmont is a town and locality in the Scenic Rim Region, Queensland, Australia. It is located in the Gold Coast hinterland of eastern Australia. At the 2011 census Beechmont recorded a population of 791. Beechmont is positioned on a forested ridge leading from the Lamington Plateau to Tamborine Mountain. Outstanding views in nearly all directions means that on a clear day Cunninghams Gap and other Scenic Rim landforms are visible as well as Flinders Peak, Moogerah Peaks and the D'Aguilar Range to the north west of Brisbane. Lower Beechmont is also on the Beechmont road, but slightly lower down the hill. Roads in the area are narrow and windy, some are prone to rockfalls and some with very steep slopes. The road to Binna Burra and access to Lamington National Park goes through Beechmont. The Rosins Lookout Conservation Park is a popular launch site for hangliders and paragliders. The Beechmont district was first occupied and managed by the Yugambeh people before the arrival of European timber cutters in the 1880s. The district takes its current name from the beech trees in the area. The Beechmont State School opened on 15 August 1904. Attempts to grow fruit in the rich soils of the area were halted due to fruit fly infestations, before the area became to be known as a mountain tourist destination from the 1920s. There are still dairy farms operational in the area, but only three remain in operation as the area is experiencing increasing levels of development. Beechmont has a state school, Beechmont State School, which opened in 1904. It covers from preparatory school to year 6. The Scenic Rim Regional Council operates a mobile library service which visits Graceleigh Park. There is a mobile phone tower near the village. Internet is available with ADSL1 and ADSL2+ over copper lines. The Beechmont exchange is connected via a microwave link to the Telstra National Network. Beechmont is listed on the National Broadband Network (NBN) roll-out plans for Jul-Dec 2019 with a deployment of fixed wireless technology. Tarred roads are available to Canungra and to Nerang. The roads are narrow and windy and sometimes closed or reduced to one lane passes after landslides and other rain induced incidents. ^ a b Australian Bureau of Statistics (31 October 2012). "Beechmont (State Suburb)". 2011 Census QuickStats. Retrieved 20 September 2014. ^ a b "Beechmont (entry 2058)". Queensland Place Names. Queensland Government. Retrieved 28 March 2014. ^ "Beechmont (entry 45110)". Queensland Place Names. Queensland Government. Retrieved 28 March 2014. ^ "Lower Beechmont history". www.goldcoast.qld.gov.au. Gold Coast City Council. Archived from the original on 15 August 2018. Retrieved 25 January 2016. ^ Queensland Environmental Protection Agency (2000). Heritage Trails of the Great South East. State of Queensland. p. 19. ISBN 0-7345-1008-X. ^ "Genetics Australia: Queensland trials test controlled breeding using CIDRs". Archived from the original on 6 July 2011. Retrieved 19 April 2019. ^ "Beechmont State School: Community". Archived from the original on 5 March 2009. Retrieved 19 April 2019. ^ "Beechmount Mountain Sales: About Beechmont Plateau". Archived from the original on 6 January 2009. Retrieved 19 April 2019. ^ "Binna Burra Cultural Landscape (entry 601899)". Queensland Heritage Register. Queensland Heritage Council. Retrieved 12 July 2013. ^ "Local Heritage Register" (PDF). Scenic Rim Regional Council. Archived (PDF) from the original on 24 September 2015. Retrieved 9 February 2015. ^ "Optus Tower Locations". Whirlpool.net.au. Archived from the original on 6 December 2018. Retrieved 19 April 2019.